"Who is Mr. Robot's Landlord is the name of my recap for the USA Network series. It is a play on the origin of the Mr. Robot moniker for the Christian Slater Character (If you read my last Mr. Robot post, you will get the full story of the name. As I mentioned last week, USA Network put out a Season 2 preview special called DEC0D3D which aired earlier this week and is available for free from their website. Here is the link to the entire special. Sadly, not too much about Season 2, however, unlike most "greatest hits" package specials, this program at least tried to provide some deeper commentary on Season 1. DEC0D3D interviewed several pop-culture influencers (like a People magazine editor??? Although, in fairness, she had some interesting things to say) and a raft full of experts in computer hacking and computer security. 1. Most hackers like the show because the hacks are realistic and not depicted as "magic." In fact, even the screens of typed text shown during hacks on the show are authentic code (so authentic that people copy it and use it as artwork from what I hear). 2. Most of the hacks are grounded in real-world hacks (something we mostly knew). F-Society is based on Anonymous + Occupy while many of the hacks are based on real events (from Stuxnet, to Ashley Madison, to Sony). 3. Most elements of the Evil Corps hack are both plausible and possible (if not entirely likely). Why shrugging our shoulders about Government surveillance is pretty risky (watch the section discussing the Arab Spring and listen to some of the surrounding commentaries). Think about it like this, after today's Supreme Court ruling, would you want to be a Mexican-American and be surveilled in the age of immigration crackdowns? Probably not. This is a question of more than just a slippery-slope. For instance, Narco-terrorists (drug growers and traffickers) were lumped under Patriot Act legislation too. In other words, the scope of what becomes justified under terrorism legislation is usually much larger than "Islamic Terrorism." And, would you want to be a Muslim in the United States in a world of surveillance for "Islamic Terrorism?" Probably not. And what if, because of precedents set under the guise of protection from "Islamic Terrorism" other segments of society become legally surveilled? Oh, also, one thing that the Sony hack should have taught us is that surveillance could allow the powerful to blackmail the powerless away from activism using the threat of exposure of unrelated information. If, for instance, you did something legal but that you did not want everyone to know it could be used against you to stop your activism (etc.). Anyway, given how most specials of this nature just show some highlights of the previous season and move on, this was actually an interesting special. Sure, but what did we learn about Season 2? 1) The different character arcs will be disentangled so that each character lives more independently in their own universe. 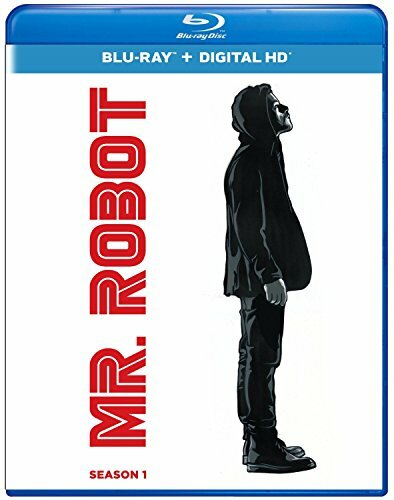 I suspect this means that Elliot (Rami Malek) and his alter-ego Mr. Edward Robot (Christian Slater) will often be apart from Darlene (Carly Chaikin) who will be apart from Angela (Portia Doubleday). 2) Part of the plot will be the unintended moral and functional consequences F-Society face as a result of the Evil Corps hack. Anyway, just a few weeks left to wait until Season 2 (July 13th). What did you think of DEC0D3D? Let me know, leave a comment!